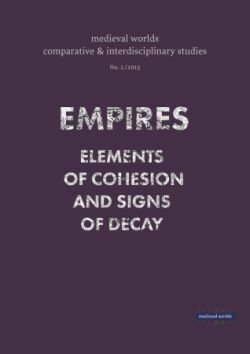 This paper examines the potency of the concept of ›empire‹ in Carolingian history, arguing against the still recent trend in medieval studies of seeing the Carolingian empire as having been in a constant state of decay. An initial historiographical overview of medievalist’s perceptions of ›empire‹ over the past century is followed by a discussion of how Carolingian authors themselves constructed, perceived and were influenced by notions of ›empire‹. Biblical scholars like Hraban Maur initiated an authoritative discourse on imperium, which in turn, after the 840s, heavily influenced later authors, perhaps most interestingly Paschasius Radbertus in his Epitaphium Arsenii. While the writings of these authors who looked back at Louis’s reign have often been interpreted as revealing a decline of imperial ideals, they must rather be seen as testifying to a long-lasting concern for a universal Carolingian empire. Keywords: Carolingian empire; Historiography; imperium; Louis the Pious; Staatlichkeit.